Remember that much paper work is needed to make an American Record official in USAPL. You must provide a copy of your birth certificate, a copy of a certified scale you were weighed in on, and and American Record form that is signed by officating referees and meet director. It is the competitors responsibility to make sure all of this gets done and given to the meet director in a timely matter. The meet director will then have the responsibility to turn the paperwork in right away to the National office. So if you think you may be attemtping an American Record please have your paper work ready and notify the meet director to make sure there will be National qualified referees there as well. Thanks for your cooperation! Also, it would be great if someone attending the state meet would volunteer to take notes of the official meeting and give a report so I can post. Thanks so much!!!! Deadlifted 303 and it was so easy she smiled for the camera! The Capital City Clash Results are UP if you haven’t checked the results lately. Also we are very proud of some fellow Nebraska lifters who lifted in the past South Dakota State Meet in Rapid City March 14 and 15th. Meagan Shrewsberry, Neil Backous, and Sterling Stinson all of Alliance shattered the local YMCA with first place medals and even some records by Neil and Sterling. Neil Backous benched in the 198lb Masters Equipped Bench 60-69 and hit a 303 bench for a Nebraska Record. He holds the bench records in the RAW as well. 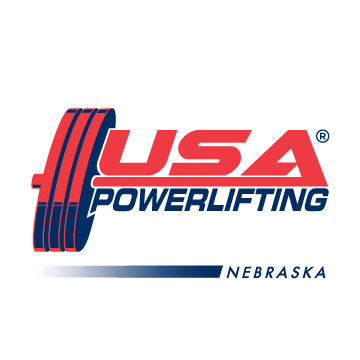 Sterling Stinson lifted in the 148lb Masters Raw 40-49 and Open Powerlifting lifting a 385.75 squat 264.5 bench and a 462.75 deadlift making a total of 1113lbs which is all records for Nebraska as well. Meagan just started training a few months ago has some amazing RAW talent. She squatted 187.25, benched 121.25 and deadlifted 303 giving her a winning total by formula of 611.75! Congrats to these Nebraska lifters and well done to our neighbors in South Dakota for another great meet!  Please let us know if YOU have USAPL Nebraska news you think we should know about so we can publish it on our site! Stay STRONG!